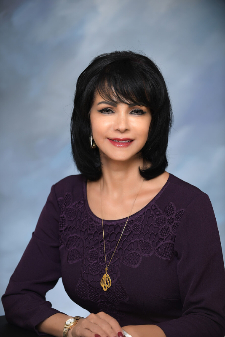 Malak Hammad celebrated her one-year anniversary as Marine Bank and Trust’s Vice President and Melbourne Banking Center Manager this past June, but she’s been celebrating the causes of her community for many years. In fact, her commitment to the community has not gone unnoticed or unrewarded. In September, she will join the Space Coast League of Cities as an associate member. The member organization is comprised of leaders from Brevard’s 16 cities whose mission is to promote local self-government and serve the needs of the Brevard County municipal governments and residents. She has also been elected to the United Way of Brevard County’s board of directors. Hammad currently serves as Chairwoman for Women United, an integral part of the United Way that fights for the health, education and financial stability of every person in every community. Additionally, Malak is currently President of Be Kind Brevard, President and founder of State Small Business Expo, and is a member of U.S. Congressman Bill Posey’s Small Business Advisory Council. She is the immediate past chair of the Palm Bay Chamber’s Brevard Business Professionals. She is an active member in the Cocoa Beach, Melbourne and Palm Bay Chambers of Commerce. In 2017, she received the Crystal Palm Award from the Palm Bay Chamber of Commerce. She is a four-time nominee for the We-Venture (FIT) Women Who Rock and a 2017 finalist for the Eckerd Kids’ Children’s Hero.